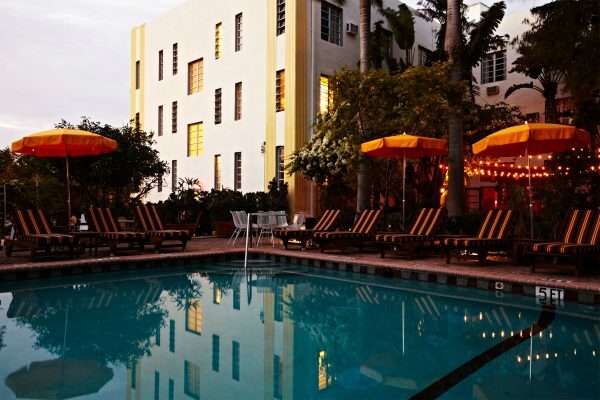 Ian Schrager's Miami Beach Edition is the kind of hotel dream vacations are made out of. Ian Schrager is a giant in the hospitality business. The 68-year-old hotelier was one of the co-founders of Studio 54, after all, and has since then opened countless gorgeous properties all over the world. His newest venture are the Edition hotels that slowly pop up at hotspots all over the world. The first two of them opened in London and Istanbul, and late last year, right in time for Art Miami, the Miami Beach Edition opened its doors. Located in Mid-Beach – the historic heart of Miami Beach between South Beach and North Beach – on a 3.5-acre private enclave stretching from Collins Avenue to the ocean shoreline, the Miami Beach Edition is an elegantly designed, intricately interlinked complex of structures, spaces and settings that together make for a new take of a beach hotel. The hotel boasts 294 guest rooms and suites, including 28 private bungalows (some with two stories) and a spectacular rooftop penthouse. Chef Jean-Georges Vongerichten is in charge of the Matador room, the hotel restaurant where he serves a modern interpretation of Latin cuisine. The spa features nine private treatment rooms including a custom Hammam room, and a detox room with a steam shower and far-infrared sauna. Then there’s Basement, the entertainment area, which in true Ian Schrager fashion includes a nightclub, bowling alley, and ice-skating rink – all outfitted with a state-of-the-art sound system, as well as dramatic lighting and projection effects created by lighting designer Patrick Woodroffe, a concert lighting specialist whose work has graced the stage shows of artists from the Rolling Stones and Michael Jackson to Lady Gaga and Beyoncé. To see more pictures of the beautiful hotel, click through the slideshow above.